Find Your Courage. Stop Playing Safe. Brave. The titles of Margie’s bestselling books reflect her passion for helping people make braver decisions and lead more purposeful lives. Margie’s had to ‘find her courage’ many times since growing up the big sister of seven on a dairy farm in rural Australia. The challenges she’s faced - surviving an armed robbery and family tragedies – combined with those she’s pursued, including having four children while living around the world, have taught her valuable lessons on embracing change, managing fear and building resilience to thrive in an increasingly uncertain and anxious world. equip people with the mindset, strategies and skills to rethink risk, find opportunity in adversity and overcome the inner-roadblocks to enjoy greater success in their work and life. 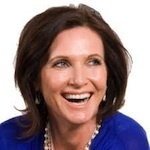 Host of RawCourage.TV and a certified master coach, Margie’s insights have also been shaped by her work and interviews with respected leaders including Sir Richard Branson, Kathy Calvin, Bill Marriott, and Marianne Williamson. An acclaimed keynote speaker and guest lecturer at Columbia and Georgetown University, Margie’s also a sought after expert commentator with leading media such as the Wall Street Journal, Redbook, Psychology Today, Fox News, Today Show and Al Jazeera. Her Forbes Courage Works column has been read by millions. An avid traveller, Margie’s ventured off the beaten track in 70+ countries. She’s crossed the Sahara desert, stayed in Palestinian refugee camps, swam with piranhas, explored Papua New Guinea’s highlands, and perhaps bravest of all, cycled the streets of Beijing. When she’s not juggling (and occasionally dropping) the many balls of forging an international career while raising four teens, Margie enjoys planning family adventures. Their most recent was summiting Mt Kilimanjaro!